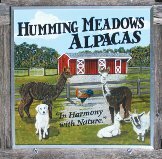 Humming Meadows Alpacas is a family owned alpaca farm in Sussex County N.J. We started our farming adventure in Hampton Township in 2010 because of the peaceful setting and varied wildlife. We were both newcomers to farming but the alpacas have taught us much during the past 2 years! Sitting on our swing and enjoying the playful antics of our alpacas is what makes life great for us. We started our alpaca journey with alpaca "pets". Two males soon grew to three and as our herd grew so did our love for these peaceful creatures. As a dog trainer I found it fascinating how quickly our alpacas learned "tricks" and my love grew. Agility was easily learned by one of my geldings who we sadly lost . But after losing him we realized that we wanted to have alpacas become a larger part of our life and so began our newest venture Humming Meadows Alpacas. We have cleared 10 acres and created beautiful rolling pastures with hills for our males to romp on as well as quiet spots for our females to nurture their crias. We have also made our farm home to 2 pygmy goats Phoebe and Mathilda whose playful antics keep us amused for hours and 2 angora goats named Auriga and Lynx as well as 3 sheep whose fiber we plan to incorporate into our alpaca fiber supply. Several years ago we added chickens to our farm community. Now we are reaping the benefits of a constant supply of eggs! Our farm is nestled in 27 acres of beautiful woods and fields. A lovely place to grow old in! 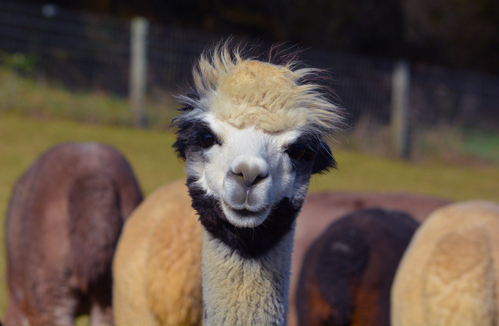 Our hope is to increase awareness of the beauty of alpaca products while improving the fiber in our herd. We welcome guests to share our swing and enjoy our farm as much as we do! 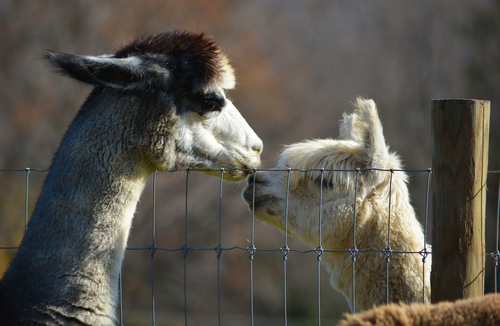 We enjoy showing off our alpacas and this summer we expect several new cria to be born. Please call to schedule a farm tour soon! Paca Your Party With Fun! 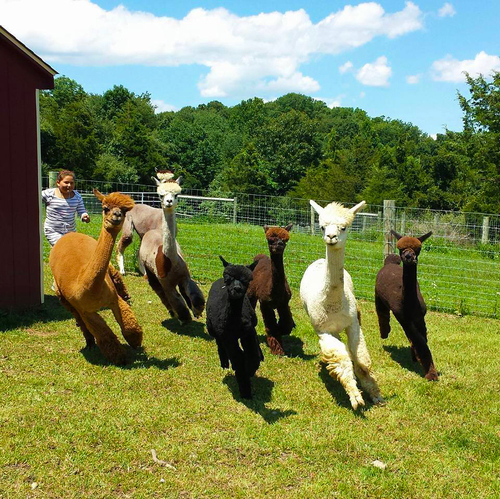 This spring we will offer alpaca parties. We will take 2 of our alpacas to your party dressed in their alpaca finery!